The festive season is nearly upon us, and our Baldwin Street hair salon is delighted to be stocking Moroccan Oil Christmas Gift Sets for this year. 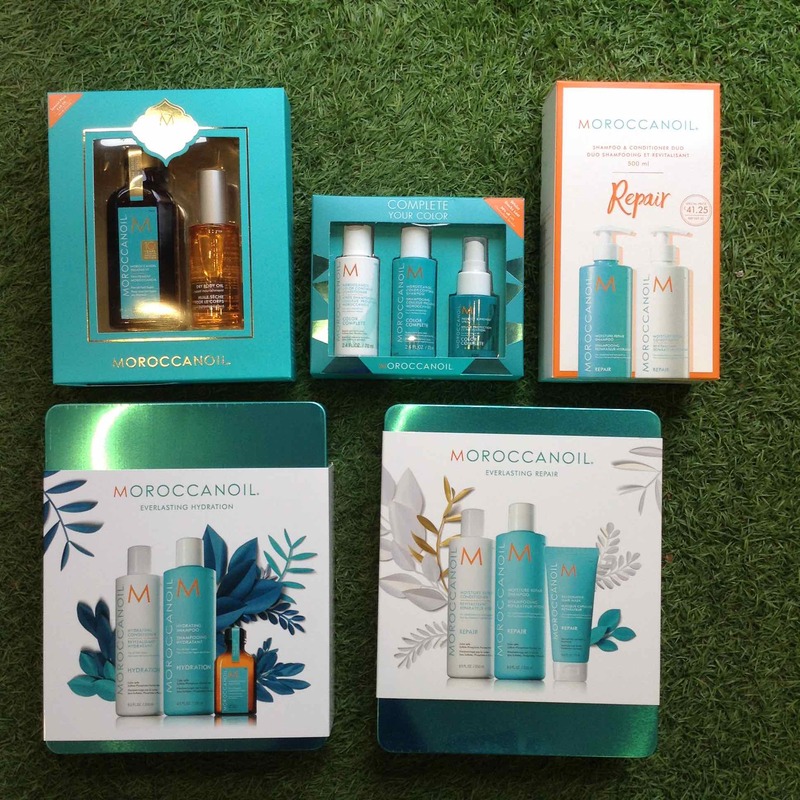 As many of our regular clients will already know, the team of central Bristol hairstylists adore Morrocan Oil products, and the range continues to be one of our bestsellers throughout the year with our lovely clients. 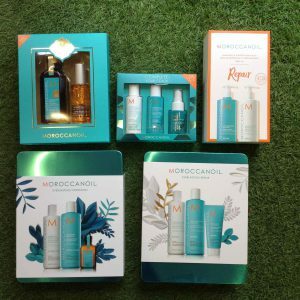 It’s fantastic to have a gorgeous range of Moroccan Oil Christmas Gift Sets, and we’re sure that these will be really popular Christmas hair product presents for clients looking for the perfect hair conditioning gifts this year. We’re expecting these gift sets to sell out quickly, and it’s the first Christmas our central Bristol hair salon has had such a fantastic range of comprehensive Moroccan Oil products and gift sets for clients. Moroccan Oil has increased their festive range, and we’re really pleased to be able to offer them to our clients too – whilst stocks last, of course! To find out more about Moroccan Oil products, please visit here. To see our full range of Moroccan Oil gift sets and products, Autumn hairstyle choices, salon shampoos, Source Essentielle hair products, nourishing shampoos, barbering services, hairdressing services, British Hair products, blonde toning shampoos, Undercut hairstyles, British Hair products, hair moisturising treatments, hair care, highlighting, hairdressing, British Hair products, hairstyling equipment, hair straighteners, hair curlers, curling wands, hair treatments, hairstyling services, hair toning, hair colouring, haircuts, creative cutting, hair styling equipment, haircuts, and hair extensions we offer, please get in touch here. Baldwin Street Bristol hair salon Baldwin Street hair salon central Bristol hair salon central Bristol hair studio Morrocan Oil Christmas Gift Sets Bristol Morrocan Oil Christmas gifts in Bristol.